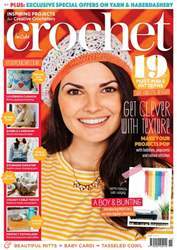 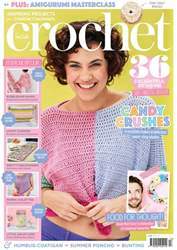 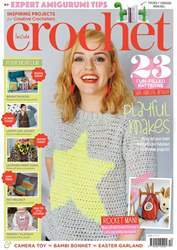 In issue 58 of Inside Crochet we embrace the Scandinavian style that's taking the world by storm. 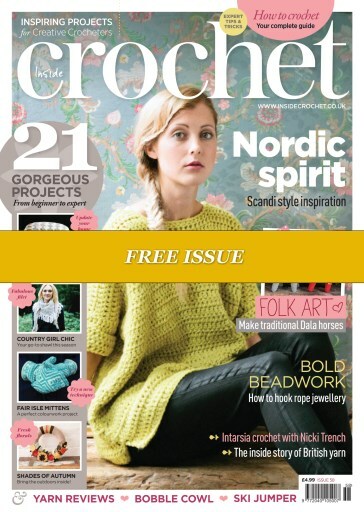 Explore the rich colourwork techniques found throughout Nordic craft history with Vicki Brown's fabulous mittens inspired by Scandinavian folk knitting tradition as well as Rohn Strong's skiwear-inspired sweater. 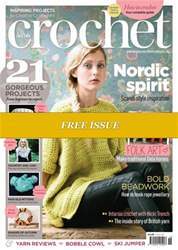 Irene Strange continues the theme with beautiful Dala horse toys from Sweden and Sophie Wire's contemporary cushion pattern embodies the soft monochrome palette you see on Nordic Noir dramas.